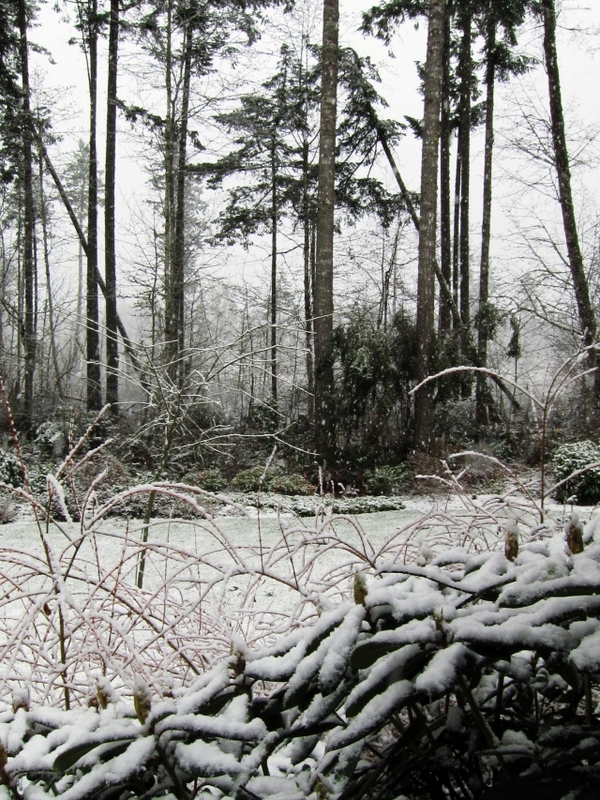 Just a light dusting of snow–grass peeking through. 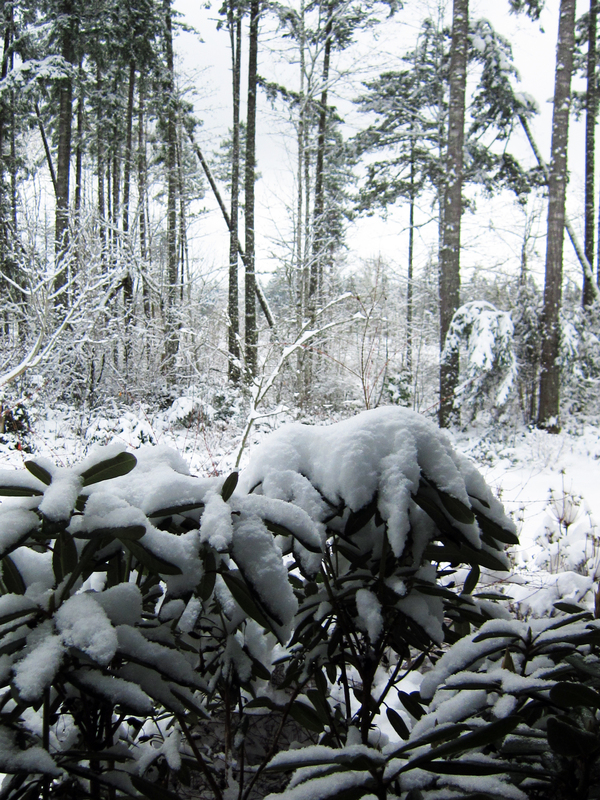 Same view–way more snow! Snow is a big event in the Pacific Northwest! There are about 5 inches (12.7 cm) of snow so far. Don’t forget to come back on Saturday. Even if I’m snowed in, I’ll grab a cup of hot tea and post my Bead Soup Party designs and we can all enjoy a fantastic blog hop to see what others have created too! See you then!